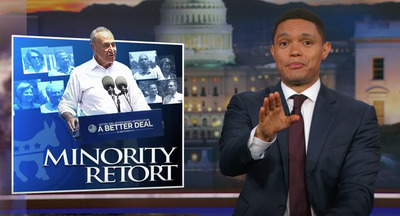 Comedy CentralThe Daily Show’s Trevor Noah. 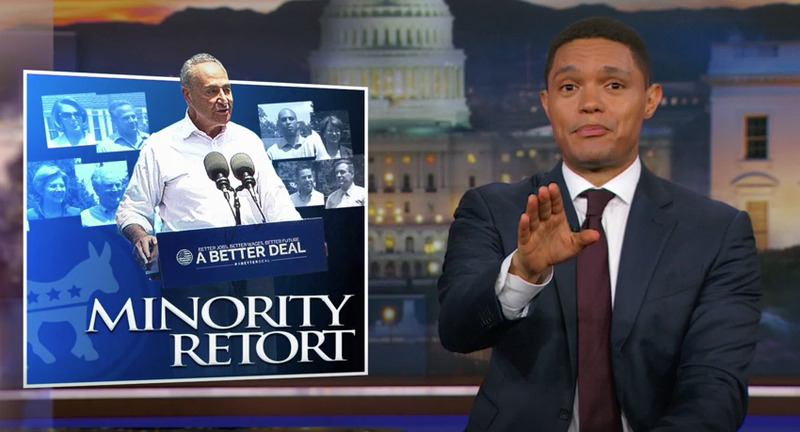 “The Daily Show” host Trevor Noah focused on a different target during a segment of his show Tuesday night, ripping into the Democratic Party’s series of nationwide election losses since November. “As the health care effort lurches through the Senate, it shows the importance of momentum in politics,” Noah said. “And you know who has a lot of momentum right now? The Democrats,” Noah said jokingly. Noah also tore into the Democrats’ campaign strategy of winning back voters with remarks dripping with sarcastic overtones: “At this rate by next year, San Francisco will have elected Mayor Hannity,” Noah said, referring to Fox News’ conservative host Sean Hannity. The comedian then critiqued the Democratic Party’s “revamped message” and called it “as fresh as cold pizza,” subtly referencing the Democrats’ possible new 2018 slogan.